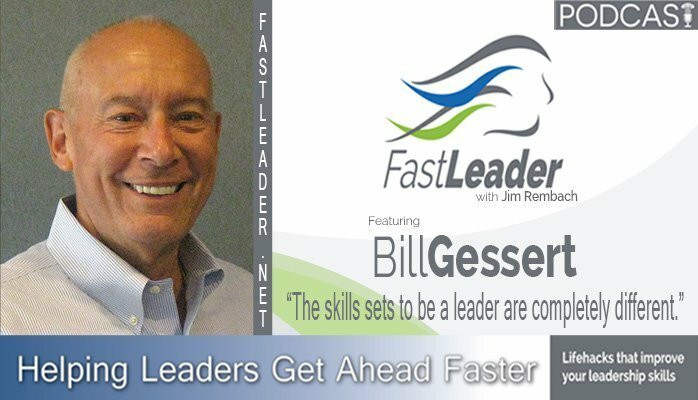 Bill Gessert was a highly successful sales rep and was then promoted to become a disastrous sales manager. Bill eventually realized he was not a bad person, he just didn’t have the skills sets to be a leader. But he learned them and went on to be a leading expert in sales, customer service and customer experience. Bill was born and raised in Milwaukee, Wisconsin and remains a die-hard Green Bay Packer fan due to spending his Sunday afternoon childhood days watching the Packers with his entire family. His family watching those Packer games included his mom and dad and four sisters, three of which were older, one younger. The entire Gessert clan remain devoted Packer fans to this day! Bill started working early at age 15 as a stock boy for a dime store in Milwaukee. His mom worked behind the counter in the bakery store right next door and her examples gave Bill a jump start on understanding the vital importance of customer service. But little did he know most of his adult work life would focus on customer service. Bill’s father was a quiet, but effective leader of the family. His examples of leadership included clear and open communication, a great sense of humor, and fairness, and provided Bill with a solid foundation for the leadership roles he would earn during his work career. Bill earned a Masters Degree in education and taught high school speech for two years before accepting the challenge to try his hand at inside sales….selling Sunday School curriculum to the church market. Turns out, Bill was a natural and vaulted to the top of all sales reps working for the company. And that started a life-long career working for organizations leading customer contact operations whether inbound or outbound. In 1994, Bill decided to channel all he had learned about customer service and launch a consulting company. That company succeeded for 17 years during which Bill and his company assisted companies like Macy’s, Nike, American Express, JP Morgan, Pfizer, Guthy Renker, GE Life Sciences and many more. Today, Bill serves as the Vice President of Business Development for Premiere Response, a boutique provider of contact center services. He is also the volunteer President of the International Customer Service Association. And was listed as one of ICMI’s Top 50 Thought Leaders in 2017. Through his many years as a consultant as well as working within organizations, Bill is most proud of the relationships he built with the people he came in contact with. More than impacting their business results, Bill was most fulfilled by building sustainable relationships with the people behind the business. Sadly, Bill passed away suddenly on October 3rd leaving behind his beloved wife, Lisa and four adult children and five grandsons. Build long-term relationships based on authenticity and transparency with people. I struggle with my own self-doubt. It freezes me – so every morning I try to create a positive picture of what’s going to happen that day and that gets me past that. My number one focus needs to be getting my direct reports promoted. Choosing to focus on the positive. Authenticity and transparency – you’ve got to be your real self with people. Let them see who you really are. Sadly, between the recording of this interview and its release, Bill Gessert passed away. The entire Fast Leader Legion is praying for his wife Lisa (https://www.linkedin.com/in/lisagessert1/) and the entire Gessert family at the loss of Bill. Please share this episode widely in his memory.